Der Behälter kann mit Wasser gefüllt und durch den Ausleger wieder entleert werden. Maße ca. 34 x 19 x 39 cm. 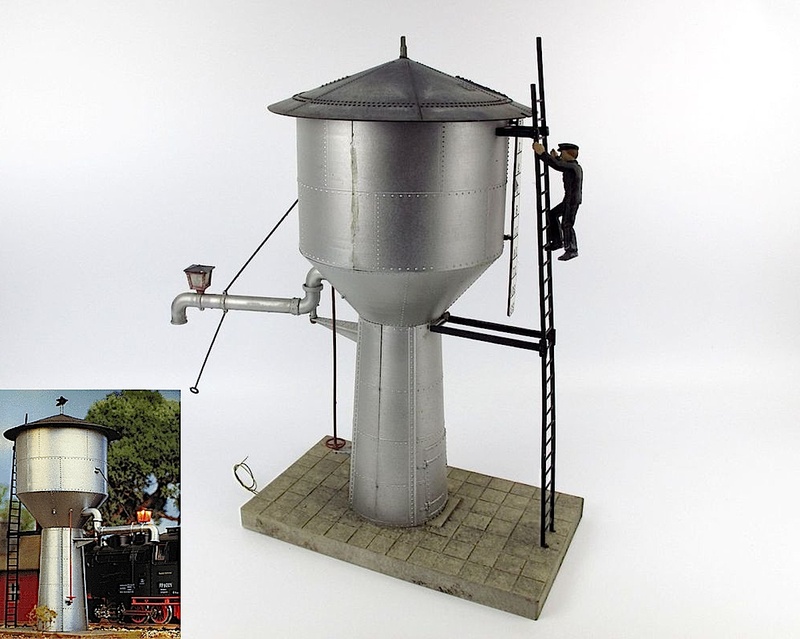 Building kit - European Water Tower. The water container can be filled with liquid and through the swinging arm it can be emptied like the real thing. Durable plastic construction.